WisconsinHauntedHouses.com features all of Wisconsin's best haunted houses, hay rides, mazes, pumpkin patches, haunted attractions and fall fun that you're looking for the 2019 Halloween Season. Whether you're a thrill seeker looking for the best local haunts across Wisconsin, or you're looking for Fall Festivals, and the more family-friendly side of Halloween Fun, WisconsinHauntedHouses.com has what you're looking for. 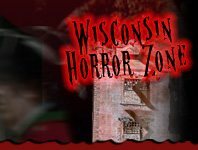 Since 2009, WisconsinHauntedHouses.com has helped locals across Wisconsin make the most out of the Halloween Season with comprehensive listings for all of STATE WI's best attractions, including dates of operation, in-depth bios, photos, social media feeds, and so much more! Our blog also features a deeper look into this year's Halloween Fun, including the latest Haunt News, Halloween Fun & Games, Seasonal DIY ideas, and the nitty gritty details of Wisconsin's REAL Haunted attractions. Have a local haunt and want to get listed? Give us a call at 888-228-5265 and speak to a WisconsinHauntedHouses.com representative today! Railroad Tracks off 72nd St.
Mind-Blowing Haunted Houses in Wisconsin That You Have to Visit! Find Out What's Happening this Halloween Season with Wickedly Grande's Food Scare for St. Joseph's Food Program! Frightening Fun Awaits this Halloween Season at Evil Falls House of Tormented Souls! Tons of Scary Good Fun Taking Place this Halloween Season at Zombus - Zombie Apocalypse Paintball! Twisted Realms Haunted House Stirring Up Serious Scares this Halloween Season! Schuster's Fall Harvest & Haunted Forest is Hiring for the 2017 Halloween Season! Deliver Scares this Halloween Season by Working at a Local Wisconsin Haunted Attraction! Zombie Apocalypse Live Coming to Terror on the Fox the End of May! Celebrate the Holidays with Krampus at His Haunted Christmas Presented by Terror on the Fox! The Haunt - Cedarburg Celebrates 10 Years this Halloween Season - Find out What's in Store for 2016 Here! Don't Miss Out on Friday the 13th's Slasher Fest Weekend at Terror on the Fox!